It was a hectic holiday weekend for my family. 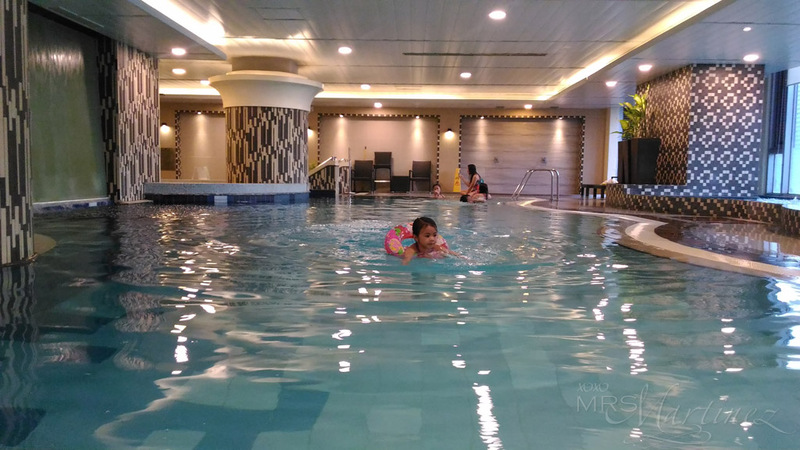 After spending the entire afternoon at Klir Waterpark Resort in Guiguinto, Bulacan last Saturday, we went to The Linden Suites the next day. 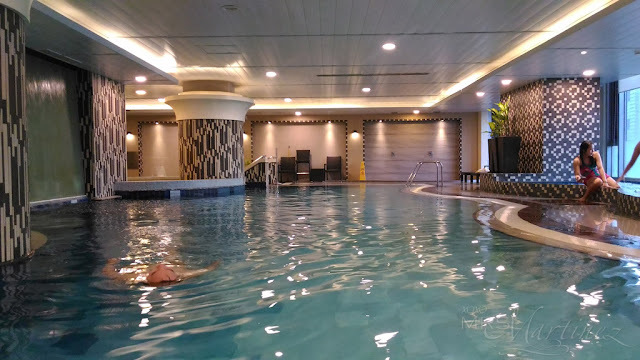 The hotel accommodates walk-in guests to use its Health Club facilities like Jacuzzi Hot Tub and Temperature Controlled Indoor Pool for a certain fee. After having a quick lunch, we drove to The Linden Suites. It was a Sunday, we expected their parking to be full so we drove straight to an open parking at the back of the building (right across it) instead. 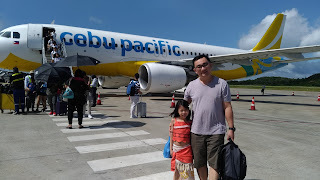 We paid Php 40 for a full day's rate. We went straight to The Linden Suites Health Club on the 9th floor (the elevator was on the left side of the building). After we paid using a credit card at the reception, DH and I were each given a locker key. The receptionist also handed 3 towels to us. My daughter and I changed into our swimwear right outside the shower cubicle. The Female Locker Room has a direct access to the swimming pool area. 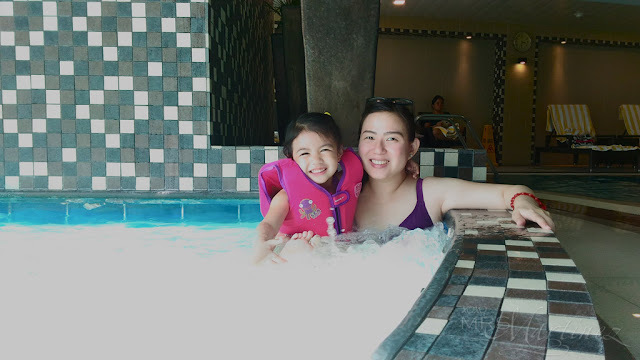 My daughter loved the pools at The Linden Suites. She went to the hot tub and back to the pool numerous times, I lost track hehe My little darling is a water baby, no question about it. While I waited for my daughter to finish her swim, DH enjoyed a good 10-minutes inside the Dry Sauna found in the Male Locker Area. There's also one available at the Female Locker area. The Linden Suites is located at 37 San Miguel Avenue, Ortigas Center, Pasig City. For inquiries, please call 638 7878 and 638 7877.